Yes, School for S.P.I.E.S. 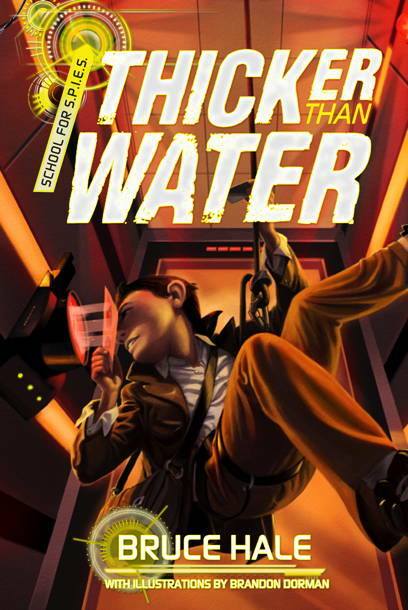 is back in session, with the further adventures of Max Segredo and his friends in THICKER THAN WATER, which just hit bookstores yesterday. Max Segredo has learned that not only is his father still alive, but he was working with LOTUS, the evil spy operation that wants to bring down S.P.I.E.S. Now Simon Segredo is on the run from LOTUS, and Max’s surrogate family at Merry Sunshine Orphanage is being threatened from without and within. LOTUS is trying to drive the school out of business, while the Ministry of Health is investigating an anonymous complaint about the orphanage. Can the S.P.I.E.S. crew beat its rivals to the prize before the orphanage closes its doors for good? 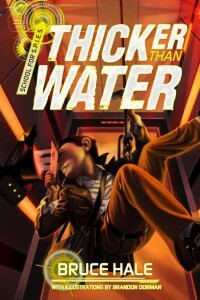 Find out in THICKER THAN WATER! GOOD BOOK!!!! I wish i could read more!!!!!! So glad to hear that, Jake. The next book comes out in June 2015 — sorry you have to wait so long! The first book was great and i beat this one will be even better!!!!!! Can’t wait to read it! Thanks, Raven, I’m glad you liked Playing With Fire. Book 3, Ends of the Earth, comes out in June, so you won’t have long to wait after reading Book 2. I’m so glad to hear that, Luke. Hope you enjoy the second book as well as you did the first one. Sounds like you’re on the way to developing some spy skills of your own!